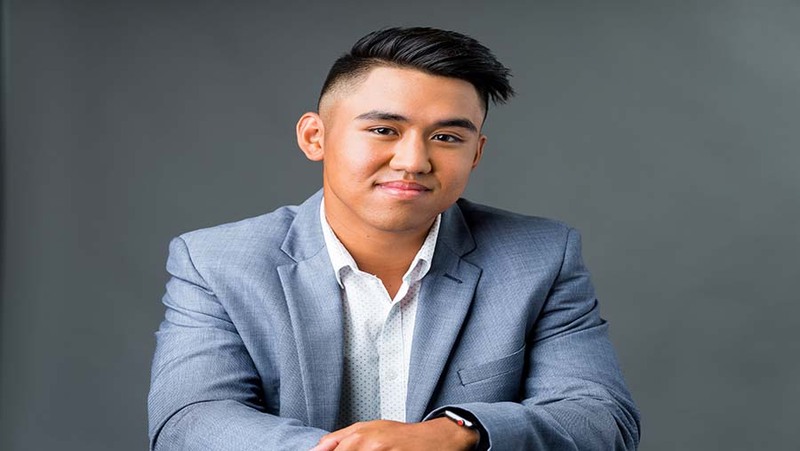 Josh Marquez is nineteen years old, and he is now a year into a Bachelor of Business (Hospitality Management) at William Blue. He’s a hard worker who’s passionate about his career, but he also wants to go out and see the world, and get to play his favourite sport – cricket. When the opportunity came up recently to go play cricket in the U.K as Tour Captain, he knew he couldn’t turn it down. He didn’t want to let down the team, but he didn’t want to put his studies on hold either. Josh was in a dilemma. How could he pursue both of the things he loves, without making a compromise? He decided he needed some advice, so he took his problem to some of the teachers and student services staff at William Blue. They sat down with him and worked through his options. So, how did he manage? Josh ended up taking a ‘blended learning’ option, which allowed him to complete some of his work online, as well as in the classroom. There are Course and Career Advisors on hand at William Blue, to help students figure out which ‘blend’ of online and face-to-face study suits their lifestyle. As Josh discovered, there are many different ways to learn in life. While on his trip, Josh was able to do some research into the hospitality industry in the UK. Plus, he learned some important lessons about himself and what he’s capable of. These types of lessons are just as important as study. “I learned to develop my leadership skills for my team. This helped me become patient, compassionate, and caring towards a large group while also having the aspects of discipline in my actions. This is also beneficial to my career, as it developed my future leadership skills. I also saw my time overseas in the U.K and France as an opportunity to gain insights of the Hospitality industry, which I can apply towards my studies. For example, I stayed in various types of accommodation with all levels of comfort. This allowed me to gain extra knowledge about a topic in the “Introduction to Visitor Economy,” as I received first hand experiences of different types of accommodation and levels of service. Josh is now an active member in the William Blue student community. He’s co-president of the Student Representative Council (SRC), and he loves his studies. After graduation, Josh wants to get into hotel management, so he can build up some experience. His dream is one day to run his own business. With this attitude, he can do anything! Good on you, Josh. See here for more information about courses in Hospitality Management at William Blue, or contact one of our friendly staff for information on blended learning options.